According to TechRadar, Netflix and Telltale Games have entered into an agreement to adapt Telltale’s Minecraft: Story Mode for the streaming service. The Netflix version of Minecraft: Story Mode will be similar to Netflix’s other interactive stories like Puss in Book: Trapped in an Epic Tale and Buddy Thunderstruck: The Maybe Pile that were introduced last year. The series will be a five-part episodic adventure and be available to stream later this year. 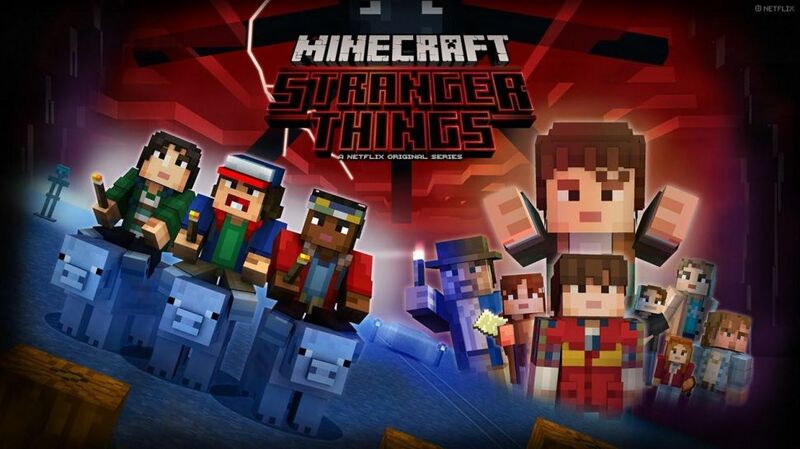 In addition, Telltale is working on a project called Minecraft: Stranger Things but no release date has been announced. That is expected to be similar to Telltale’s existing Minecraft: Story Mode game. 1. We can confirm Minecraft: Story Mode is a licensed 5-episode interactive narrative series coming to our service this fall. It’s an extension of our other interactive stories we have on our service like Stretch Armstrong: The Breakout, Puss in Book: Trapped in an Epic Tale and Buddy Thunderstruck: The Maybe Pile. 2. The Stranger Things project is being published by Telltale at a later date, not on the Netflix service. It’s part of our marketing and title promotion efforts. Well, just like the show, Things just keep getting Stranger around here.